Miss South Africa Demi-Leigh Nel-Peters is ready to take on the universe! 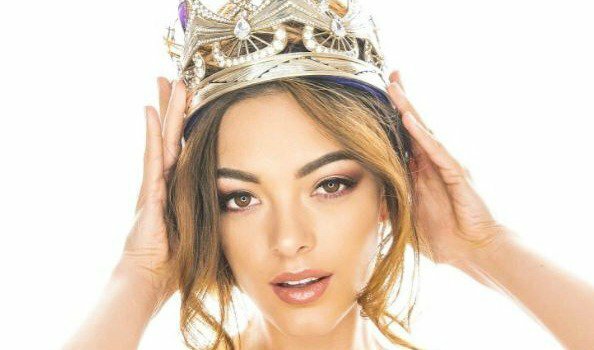 Demi-Leigh Nel-Peters will be flying South Africa's flag high at the upcoming Miss Universe pageant. The 22-year-old shared the news on Instagram. "I'm so excited to finally share with everyone.... We're going to UNIVERSE! I'm saying "we" because I know that just like Miss South Africa we'll go on this journey together and I can't wait to share it with each and every one of you!" she wrote. Demi-Leigh will be preparing for the contest with the help of pageant coach Werner Wessels, who helped her win the Miss South Africa pageant. Miss SA stylist Noreen Kajee-Vareta will also be on hand to make sure she looks her best. Demi-Leigh says she has been preparing for the pageant since she won the Miss SA title, and hopes to make history. "I am extremely excited and proud to represent our Rainbow Nation and cannot wait to wear the name ‘South Africa’ proudly across my chest. It has been 39 years since a South African wore the Miss Universe crown and I promise to dedicate and commit myself to ensure the crown will once again be on South African soil," she said in a statement. The Miss Universe pageant will take place on November 26. The venue for the event has not yet been named.